We started Nurtured at Home with the simple idea of “Children being our first Priority”. 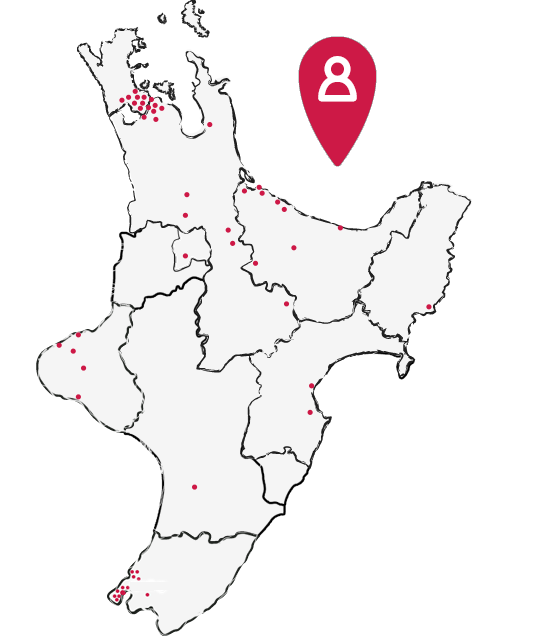 Nurtured at Home’s vision is to provide quality, affordable and accessible early childhood education for families, whanāu and their children with the aim of improving outcomes for all involved in our service. Our in-home Educators provide full and part day education and childcare in their own homes for up to 4 preschool children at any one time, with only 2 children under the age of two. Small ratios mean your child receives individualised care in a nurturing, educational and fun home environment. Regular outings and playgroups offered by Nurtured at Home™ provide your child the opportunity to experience larger group interactions while having the security of their familiar Educator. Our Educators are guided and supported by experienced Visiting Teachers who are qualified and registered Early Childhood teachers. Our service is licensed by the Ministry of Education and is reviewed by the Education Review Office. At Nurtured at Home™ we believe it is important that you choose an Educator that is right for you and your child. Our Visiting Teachers will work with and alongside you, your Educator, and your child providing individualised support, guidance and resources to ensure your child is receiving a nurturing, educational and fun learning environment. Affordable fees for quality early childhood education in your community. Access to WINZ and ELP subsidies, and 20 free ECE hours for all children aged 3 and over. No administration and processing fees. Flexible hours and times with no minimum required. First 6 hours free for settling in time with your Educator (conditions apply). Free Discovery Days and community events for families to attend. Weekly play and music groups available. Professional Development opportunities for families. Quality learning resources and nursery equipment for your child in your Educator’s home. A Visiting Teacher, who is a qualified Early Childhood teacher, to support you, your child and your Educator in your Educator’s home environment. Regular and ongoing contact with your Visiting Teacher. Daily feedback on the care and education of your child, along with portfolios showing your child’s learning journey. Alternative care is available should your Educator be unavailable. When you refer either an Educator or family to Nurtured at Home, you receive a $100 grocery vouchers (conditions apply). We would love to hear from you and talk with you further about your childcare enquiry. Please complete your contact information below and our team will contact you during business hours to answer any questions you may have and discuss more about the benefits of joining the Nurtured at Home team. Nurtured at Home® is licensed by the Ministry of Education and regularly reviewed by the Education Review Office to ensure that all our homes meet and exceed the Ministry of Education’s Licensing Criteria for Homebased Services (2008), and that Educators with Nurtured at Home® provide nurturing, educational and fun learning environments for your child. All of our in-home Educators and their families are regularly Police checked and all of our Educators hold a current first aid certificate. Homebased Educators attend regular professional development providing them with up-to-date knowledge and information to ensure that they deliver the highest quality of care to your child. In addition to the relationship you and your child build with your Homebased Educator, you will receive daily updates, learning portfolios, and regular contact with your Visiting Teacher. Nurtured at Home is guided by Te Whāriki, the New Zealand Early Childhood Curriculum. Te Whāriki is underpinned by a vision for children who are competent and confident learners and communicators, healthy in mind, body and spirit, secure in their sense of belonging and in the knowledge that they make a valued contribution to society. At Nurtured at Home, we foster five learning dispositions: courage, trust, perseverance, confidence, and responsibility, within a safe, nurturing and fun home environment. Nurtured at Home is committed to providing quality, affordable, and accessible homebased care and education. Call us today to find out the rate for your area. All 3 and 4 year olds can receive up to 20 hours FREE childcare per week. Access to Work and Income and ELP childcare subsidies. No booking, processing or administration fees. Free 6 hours settling in time prior to your start date (conditions apply). You will only be charged for your child’s booked hours or what they have attended; whichever is greater. No charge if absent during our Christmas closure. Retainer rate applies for absences where a week’s notice is given and on public holidays. Payment can be made by direct debit, automatic payment, internet banking, cheque or cash to the office. FREE nursery equipment, toy library, playgroups, music groups, learning resources, Discovery Days, and professional development opportunities.